Elvis, Lennon & JFK is set on the evening of John Lennon's assassination in New York, 1980. Having been shot dead John finds himself in a strange room with only JFK and Elvis for company. Both try to convince him he is dead but John prefers to believe he's in the middle of some great Acid trip. Finally they succeed and John discovers that he has joined a very exclusive club. Membership requirements are that millions of people will forever remember where they were when they first heard of your death. There are only the three members. One of the latest Elvis novels, Elvis, Lennon & JFK, introduces the reader to a particularly intriguing theme - one which brings together three of the 20th century's most famous icons. A summit meeting of legends in their own lifetime, except that their meeting transpires post their mortality! Not surprisingly, a key theme which drives the narrative is the struggle between each protagonist as each tries to assert dominance over the others. What transpires is that they are each forced to challenge their beliefs and view each other in a different way. But more on that shortly. 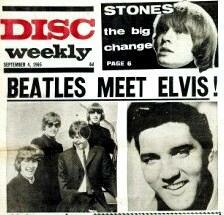 In many ways, Elvis, Lennon & JFK is a psychological drama. The psychological aspects of the story are well crafted. Chisnell portrays each of his neo-triumvir from “inside”, reflecting their thoughts and feelings. Whether the respective thoughts and feelings are valid is for the reader to decide. The book offers the reader plenty to ponder. 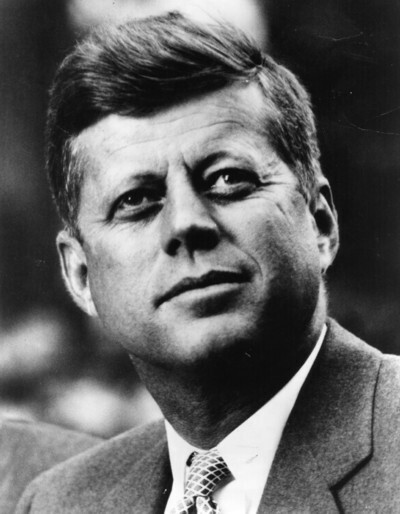 A set of political undertones is interesting, including the idea that JFK was only warming the Oval office seat for his younger brother, the ‘better qualified’, Robert. One of the problems in writing a book around three strong protagonists is that at times the narrative can become quite confusing, particularly as the respective egos clash and dodge and weave tactically attempting to achieve the upper hand. Given who the three main characters are and the situation they are in, their natural political leanings frequently come to the fore. Right wing 'Stud' Elvis conflicts with the suspicious mind of the left wing and ascerbic Lennon, while both men clash with the political ego of JFK, with Lennon, in particular, challenging the political decisions during JFK’s time as President. Another theme in the book is who will be remembered over time. The political history books will record JFK while the social history and pop culture library will record Elvis and Lennon. Is one person more important than the other(s) or are all three just as important in their own way? Of course, Elvis has one quality in his favour – there is only one King of Rock ‘n’ Roll! 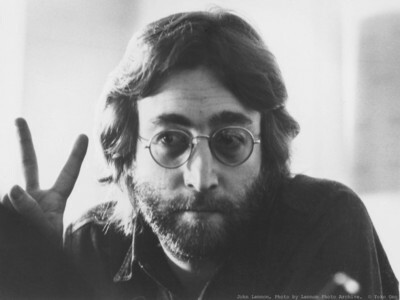 Lennon was part of the four man Beatles, while JFK is but one of 43 individual Presidents of the United States. JFK takes his time. Elvis did have a point. And it was a hell of a point. How did Elvis find a point like that. Guy's smarter than he thought. Any book predicated on a meeting of three of the 20th century’s greatest icons has the potential to be both entertaining and challenging, the latter because the narrative necessarily relies heavily on long tracts of reflective thought processes and a talky approach to its main characters. At times I felt Elvis, Lennon & JFK became a little too talky, albeit interestingly talky and I’m also not sure if the author’s (understandable) writing convention of commencing paragraphs using the titular names Elvis, Lennon and JFK, works as well as it could have. Verdict: I enjoyed my time with Elvis, Lennon and JFK as they reminisced and sparred for ascendency. This is a different type of story and one which offers the reader plenty to think about.